Note: The amount of jello that the fingers pan can hold is about 1/2 a cup of jello. 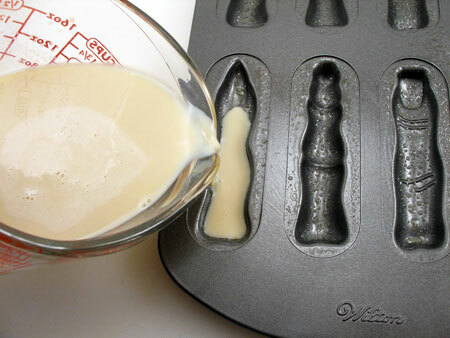 I suggest using 2 pans or bigger molds. Pour vodka or vanilla vodka into a bowl or container. Sprinkle the gelatin over the vodka. Let it stand for about one minute. 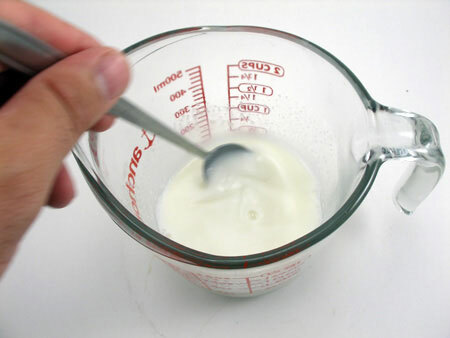 In a pan, boil the milk and pour it into the gelatin mixture. Mix well until the gelatin dissolves completely. 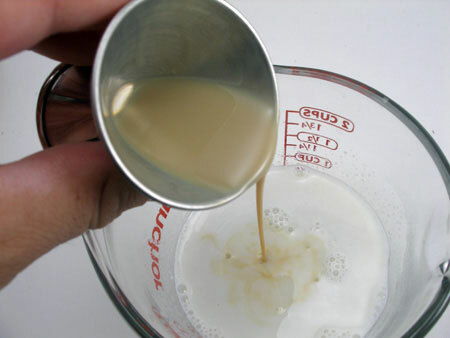 Once the gelatin is dissolved, pour 2 ounces of butterscotch liqueur and 2 ounces of Irish cream. Stir well until everything is mixed completely. Wash a Halloween fingers pan or a witch fingers pan and dry it. Spray the inside of the mold with a small amount of vegetable oil. Wipe any excess oil. 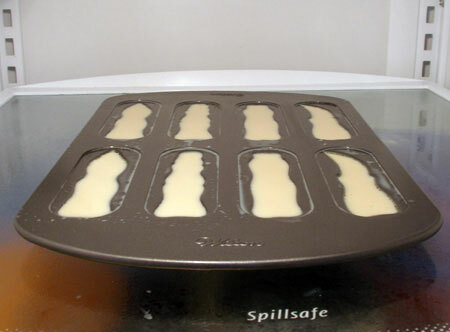 Pour the butterfinger gelatin into the mold and place it in the refrigerator. Refrigerate the butterfinger jello shots until they're firm. Take them out of the mold and place them on a plate. Note: It takes about 4 hours for the gelatin set. 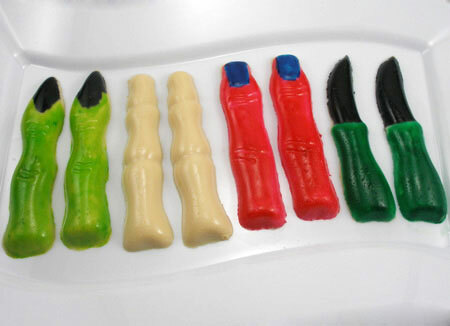 Using an artist brush and food coloring, paint all the butterfinger jello shots as you like.